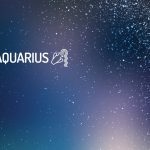 Here, you can find out more about the weekly Horoscope for Aquarius, from April 22nd to April 28th. Every week, WeMystic will bring you the forecast for Love and Relationships, Health and Money & Career. Your patience will be tested. Singles: you love helping other people, but do not confuse charity with romance. Feelings can develop between you and someone you are trying to help, but inappropriate emotions usually come with humanitarian efforts. Someone tests your patience this weekend, but your real intention is to get their attention? Is there animosity between you and one of your critics, or is there something more hidden beneath it all? It can be fun to find out. Engaged: the answer to your discouragement in the relationship may lie in doing some charity for someone else. If you are upset about the state of your relationship, go out and see other people who are less fortunate than you; it can make you realize how good you are to each other. If there are limits to your love during the weekend, find out why. What is stopping you from giving your all to your partner? A time of change is indicated in relation to career and financial matters. The Universe supports any new change you want to make in your career and provides a boost. However, the influences can be creative or confusing, depending on how you use them. Choose your path carefully and intentionally. At work, there can be unfortunate consequences if you speak without thinking. You may feel limited or confined. Do the best you can for small details and avoid criticizing. A slow, patient approach will help everyone. Things are starting to get better soon. This is a lucky time for marketing and excellent customer relations. Be confident and you will shine. You’re feeling much more determined. Structure in your health habits will be important over the next few weeks. Standardize your behavior one day after another, adhering to a basic healthy program. Your program should include a good night’s rest, a minimum of eight large glasses of water a day and a lot of fresh food in your diet. This is not much to do for your body, considering how much it does for you without complaining. But if your body complains, be sure to take it seriously. You are feeling much more determined to put your life on the track, and that includes your health and well-being. Food and diet can present challenges that you find difficult to hit. Follow your instincts this time. You know what you need to do and what steps to take, but you may have avoided them.